You have 2094 characters. Don’t forget to add important and relevant keywords in your description to improve your iTunes app page and optimize your SEO. Your app's last version was released on August 06, 2013. It is important to regularly update your app. Best practices recommend to update your app every 4 to 6 weeks. This means fixing reported bugs, improving existing features, launching new features etc. Keep an eye on users' feedback. The next great features may already be asked by many users. 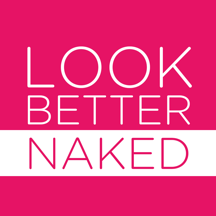 Look Better Naked is a six-week ticket to your leanest, hottest body ever. The app combines an easy-to-follow eating plan with an innovative "featherweight" strength-training program designed to target the specific body parts women find most problematic. Studies show that only one in five women is happy with what she sees when she steps out of the shower. If you want to be that one—it's time to download this app. Created by the editor-in-chief of Women's Health, the fastest-growing women's magazine in America, the Look Better Naked app is a complete diet, fitness, beauty, and body-confidence program. Transform your shape, boost your confidence, and feel sexier in-and out of-your clothes. -MY WORKOUTS Provides a smart mix of daily exercise routines designed to boost your metabolism, sculpt your muscles, and reveal a sexier shape--in just six weeks. -EMAIL REMINDERS Need a motivational nudge? Let your weekly status update emails help you stay focused on your goals by you with a breakdown of your progress for the week. -PROGRESS REPORT The app logs your workouts and meals, so you can check your activity history anytime. See your progress within a day, or within the context of the entire six-week plan. -MY CALENDAR Knowing what lies ahead will help you succeed on the Look Better Naked program. In the Calendar section of the app, you can look as far ahead through your meals and your prescribed workouts as you need to, customize them to fit your needs, and set any alerts or reminders to help keep you on track. -TIPS Here's where the app really helps you keep your head in the game. Invaluable advice from Women's Health Editor-in-Chief Michele Promaulayko, on topics ranging from beauty to health, will definitely help you look—and feel—better naked. -MORE Once you start transforming your health and your outlook, you'll want to share that news with your friends. In the 'More' section you'll find links to connect the app to Facebook and Twitter. This section is also where you can set your preferences for the way you want to interact with the app.